We provide Bubble Soccer and so much more in Victoria, A.C.T, N.S.W and South East Queensland! Find out more about us and what we can do for you here. Check out our services, locations and product videos to get started. Select your location below to learn more about what's on offer in your state. We bring Bubble Soccer PLUS MORE to you! We are a fully mobile events and attraction business to put it simply, however we can cater an entertainment package to suit almost any occasion. Since beginning in 2014, we have grown from only Bubble Soccer to now offering over 7 services with new products rolling out all the time. Bubble Soccer is a relatively new sport, physically demanding, however provides exciting and laugh out loud fun for everyone. It involves being strapped into a zorb ball and running around playing a full contact game of soccer. In addition to Soccer, we also run other games in the bubbles, including Bulldog, Sumo, Volleyball and more. We offer a fully mobile party and events solution, where we can travel to your desired location, be it your own private property, a local park/reserve or an indoor sports venue. We take care of the whole booking process from the permit to the party invitations, making your event planning so much easier. We do not provide dry hiring (unsupervised). Booking with us is just so simple! Simply submit an enquiry form or call us to ask any questions or book. We handle the whole booking process from there, you don't need to contact councils, venues or seek permission from organisations. We handle the leg work so you can focus on the planning for your event! In the case of bad weather we will contact you as early as possible to make alternative arrangements and do our best to relocate, or reschedule. We offer multiple payment solutions, accept all major credit cards including American Express and offer mobile payment processors so you can make payment on the day of your event. Special occasions, events, activities and parties are our full-time passion, we're not part-timers with a side business. We pride ourselves on quick response times, hassle free booking, professionalism and organisation. Established in 2013, we have thousands of hours of experience which guarantees fun for everyone one, while creating some truly laugh out loud memories. With more vehicles on the road and more bubbles, in more sizes, than any of our competitors. We are the best placed company in Victoria and the ACT to deliver an event on your terms and without fuss. We won't cancel last minute because we get a bigger job or our equipment is poorly maintained, nor will we demand full upfront payment at the time of booking. Offering a fully mobile service, we take the pain out of your organising the event by doing the legwork on a suitable location. With hundreds of preferred locations across Victoria and the ACT and well developed relationships with indoor venues and local councils. With the addition of offerings such Nerf Blaster Warz & Supersoaker Water Fights, Hero Blast Laser Tag, Archery Warz, Snookball, Spikeball, Mega Party Pong and Jumping Castles & Interactive Inflatables. You can now combine our services to compliment and add further value to your event. Bubble Soccer2u Videos and More! The Sushi Gang is back from Japan and today we're playing bubble soccer! Big shout out to 'Bubble Soccer 2 u' for hosting the bubble soccer games! Check them out here: https://bubblesoccer2u.com.au Filmed/directed by: Kevin https://www.instagram.com/turtlelaneproductions/ Up next, ARCHERY WARS! Follow us on Instagram. Chonny @lechonny Dalena @dalena.cake Thanks for watching! When Alex Rance called us up and asked to come and run some Bubble Soccer and Soccer Darts for the boys, we jumped at the chance. Melbourne turned on a fantastic day of weather and the whole playing group got to enjoy some amazing team building fun on the hallowed turf of the Punt Road Oval. Thank you for your Bubble Soccer 2u enquiry. We will be in touch shortly. We bring Bubble Soccer, Sports & Active Games to your own location (or one near you) all across Victoria. You can also attend one of our permanent or semi-permanent venues to play. We bring all the equipment, set it all up, coordinate the activities and make sure everyone enjoys themselves and that your event is a success. It’s something that will create buzz, that will excite all your guests and catch the eye of onlookers. Let us know of a potential location, time and date. Thank you for your Archery Warz enquiry. We will be in touch shortly. It's live action Archery with similar rules to dodgeball and the same adrenaline rush as paintball. It can be played indoors and outdoors on almost any surface! The game is a fast paced and full of high action fun. Suitable for ages 13+ of all fitness levels. 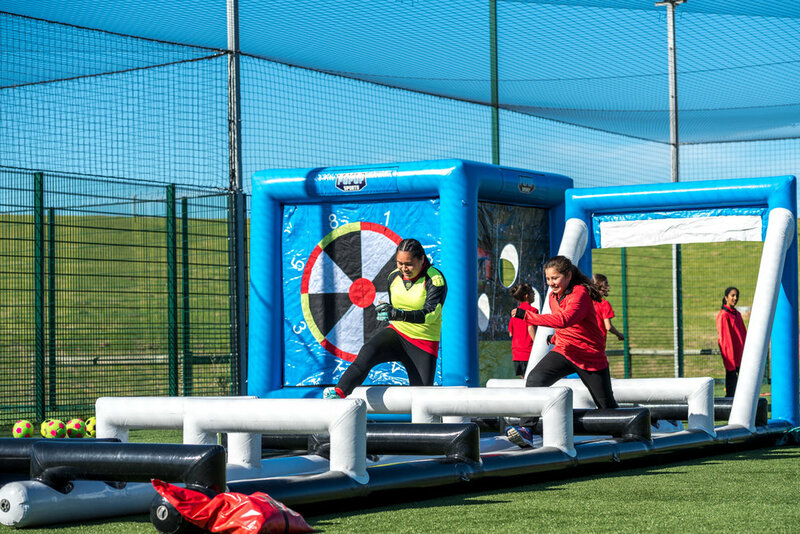 Archery Warz is the perfect a stand alone event, but for even more action add it on to your existing Bubble Soccer 2U event, corporate activity or party! We can accommodate groups of 20+ and take bookings 7 days a week. Thank you for your Dart Blaster Warz enquiry. We will be in touch shortly. We carry all the latest Nerf and other foam blasters for you to experience as well as multiple types of darts. 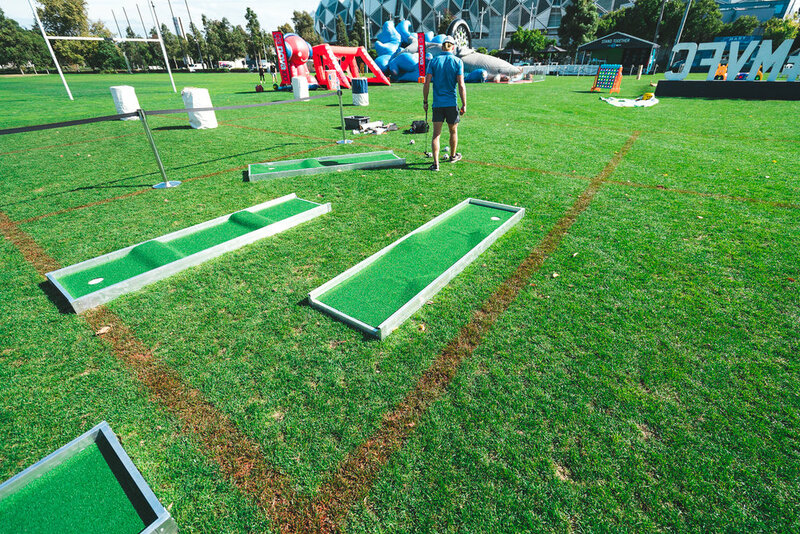 We bring all the equipment and setup an inflatable battlefield for heaps of fun game modes. Everyone is provided with a pair of safety glasses for eye protection. New to Bubble Soccer2u, Soccer Darts took Social Media by storm and we are proud to be the first in Australian provider to offer Soccer Darts. At 7m tall and over 5 metres wide it stands impressively and ready for you to challenge your friends, team mates or colleagues. 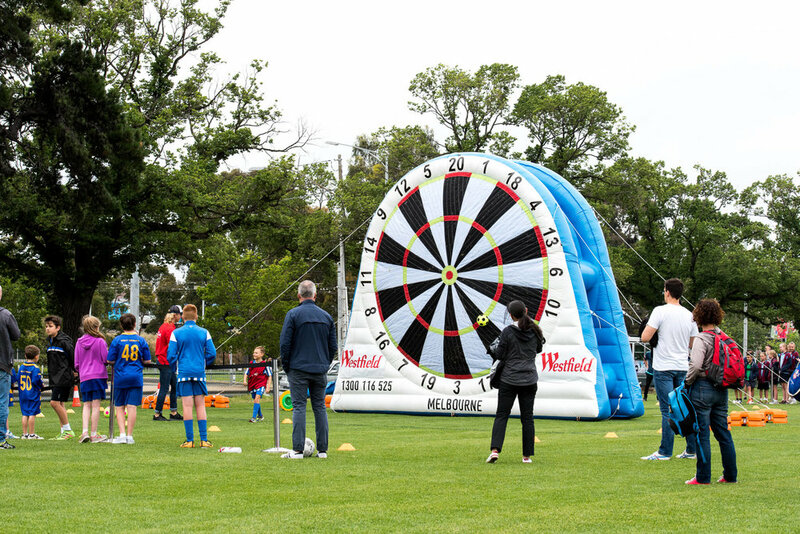 Soccer Darts can be setup both indoors and outdoors and can cater for all ages. To book contact us or submit an enquiry below. Thank you for your Snookie enquiry. We will be in touch shortly. Snookball combines Soccer and Billiards and is fun for all ages. Play singles, doubles or time trials on our wooden table. We setup and pack-up the table and bring all the equipment to your venue. All that's required is a flat 7m x 4m surface. 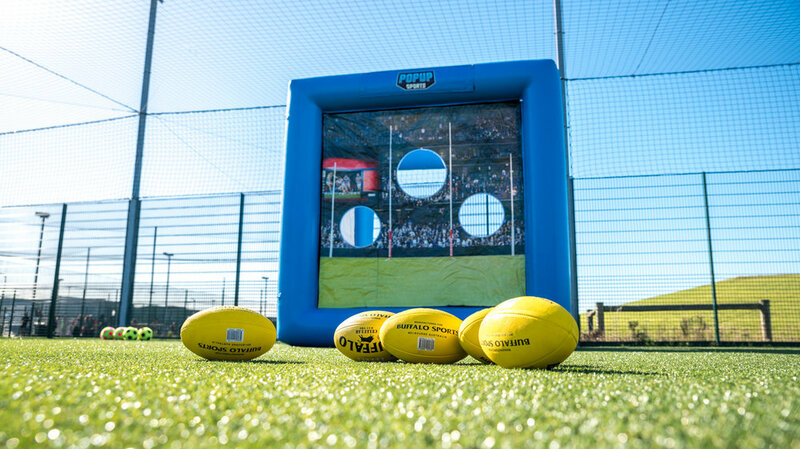 Our interactive inflatables can be adapted for AFL Footy, Cricket, Soccer, Netball, Basketball, Rugby or multi disciplined themed events. We aim to make booking events with us a simple as possible. We come to your location or can help source one for you. From major activations, sporting club fundraisers or birthday parties we can cater for all needs and budgets. Talk to us today about your event and how we can help you. Currently only available in Melbourne. Thank you for your Hero Blaster Warz Laser Tag enquiry. We will be in touch shortly! Enjoy non-gun laser tag fun with our revolutionary Hero Blast set. Battle it out with lots of fun game modes whilst running around an inflatable battlefield. Suitable for both indoor and outdoor locations, meaning we can setup just about anywhere there is enough space. Thank you for your Inflatables enquiry. We will be in touch shortly! We also hire out interactive inflatable attractions like the ones above for small and large sized events. 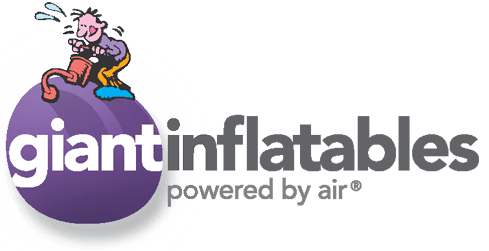 Our inflatables aren't just your regular jumping castles, they are eye catching, highly interactive and are appropriate for a variety of ages. At Bubble Soccer 2U we cater for every event you can think of and we can setup anywhere that has a playable surface! We host events for kids parties, birthday parties, bucks/hens parties and corporate events. We run gatherings for as few as 8 people to events with over 1000 people. We specialise in fundraising events for Schools and Community Organisations and have a great record of yielding great returns for organisations.